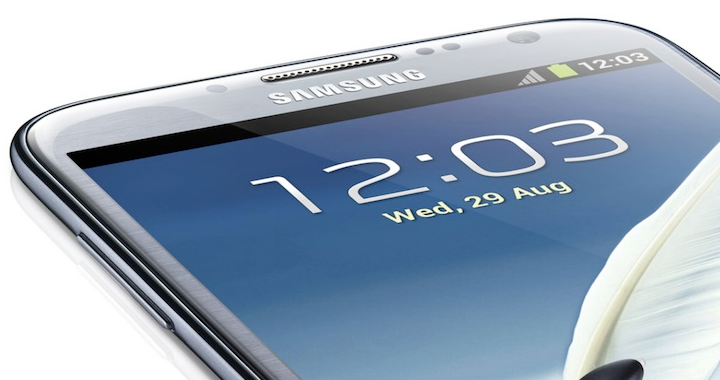 The Samsung Galaxy Note 3, presumed to launch in the coming months, may arrive with a Qualcomm Snapdragon 800 processor. Previous rumors, however, suggested that handset would feature a Samsung octa-core Exynos Octa 5 processor. So what’s the deal? Most likely, we will see different processors for different markets, much in the same way that other handsets (Galaxy S3, Galaxy S4) have done. Additional details for the Samsung Galaxy Note 3 are rumored to include a 13-megapixel camera with OIS (Optical Image Stabilization) and shutter functions. Reportedly, the camera could even employ a 3X optical zoom (we’re not so certain about this part) as well. Given that Samsung employs a 13-megapixel camera in the Galaxy S4 we should not be surprised to see something along those lines for the next-generation Note experience. We likely won’t see the Samsung Galaxy Note 3 until the second half of the year, perhaps around IFA. We might look for the phone come October or the anniversary of the current model.